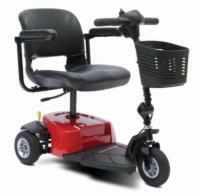 About the PR-501JP: The PR-501JP, is a petite-size, 3-position lift chair with a seam-back design and chaise seat. 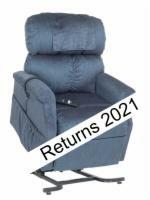 It uses an ultra soft back pillow and has soft arms and seat. The PR-501JP has a 300 pound weight capacity and comes with a quick release hand control and battery backup system that will bring your chair from the recline to seated position in the event of a power outage.